1. Navigate to the Modules area of your course. 2. Find the module to which you would like to add VoiceThread, and click the Add Content button. 3. 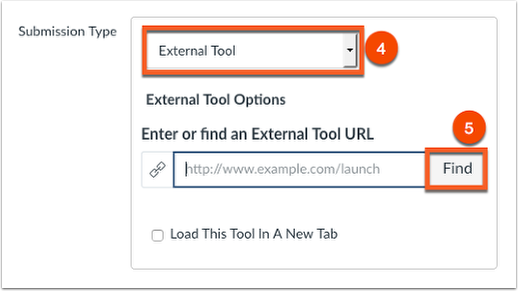 Select External Tool from the menu. 4. Select VoiceThread from the list of tools. 6. You will be prompted back to the modules page. Click on the newly added VoiceThread external app link. 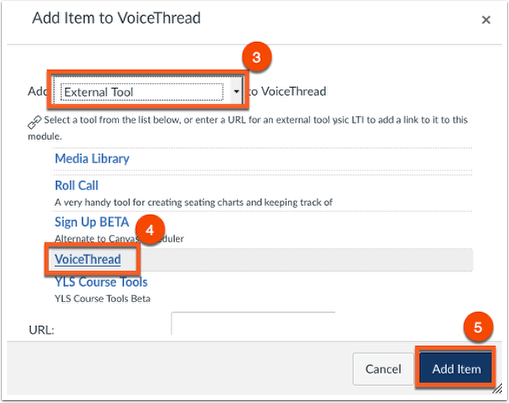 Course View will display all VoiceThreads in your specific course. Home will display all VoiceThreads and all courses that a student is enrolled in. Individual VT will display a single specified VoiceThread. 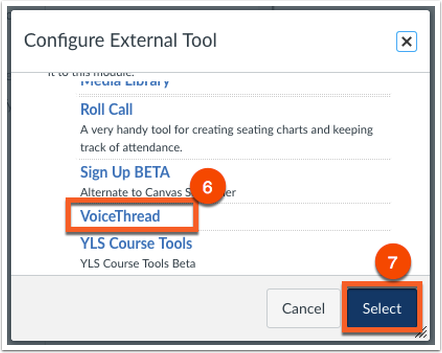 Course View will display all VoiceThreads shared within your specific course. Assignment Builder will allow you to create a graded assignment requiring students to create, watch, or comment on a VoiceThread. More information on how to use Assignment Builder can be found here.